Match 3 cards and you could be rubbing shoulders with the greatest Oil Tycoons in the world in this greasy online scratch card game. 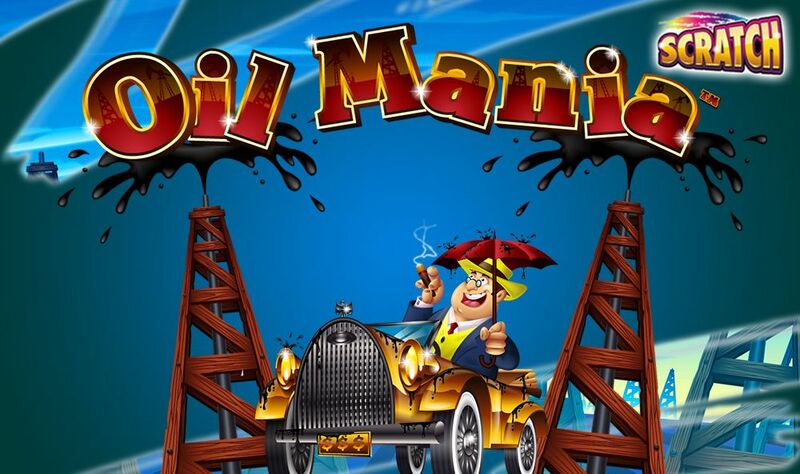 Oil Mania is highly approachable with its cartoony graphics and an easy entry point for any new online gamblers. Oil Mania is a 5 reel, 3 row slots game with up to twenty five paylines. The game features a vast oil field below the sunset, with oil rigs scattered around in the background. There are four high value symbols in Oil Mania. These include the oil worker in his green uniform, a gold car, a suitcase full of cash and a profit forecast graph. The symbols that represent the lower values are; 9, 10, J, Q, K and A. The games Bonus Symbol is the oil Tycoon. complete with a stetson, umbrella and cigar, you couldn’t get a more accurate stereotype of the generic oil tycoon. This symbol replaces the wild in the base game, as the wild is only available in the oil tycoon bonus game. The Oil Tycoon only appears on reels two, Three and four. If the player is able to land him on all three, they will trigger the bonus game. When the game is triggered, the Oil Well wild will appear below the reel that the Tycoon landed on, and will make the bottom symbol a wild. The player will then receive 3 free spins, and the wild will extend upwards until the full reel is wild. If the player manages to land another Oil Tycoon scatter during the bonus game, they will receive another three spins and there will then be two wild reels. 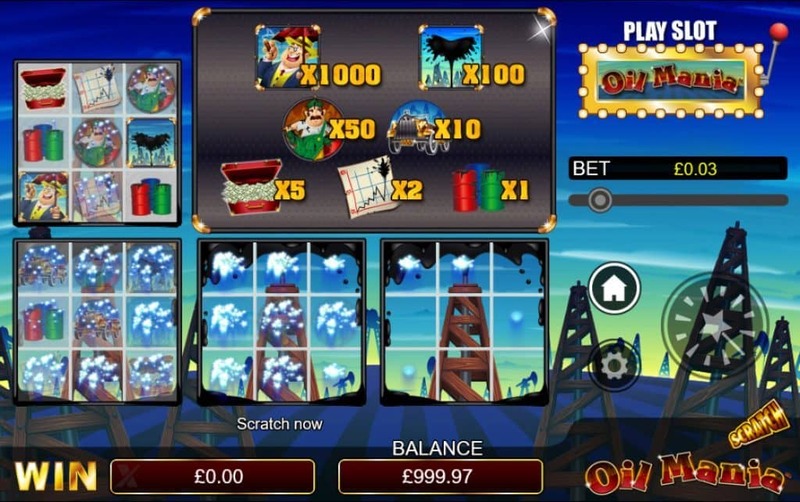 The player's total winnings are calculated when the free spins end. The game has a gamble feature that can be activated after any win by simply pressing the “gamble” button. Like other games with the gamble feature.. This game requires the player to guess the next cards colour or suit correctly. If the player guesses the colour correctly, their winnings are doubled. If they guess the suit correctly, their winnings are quadrupled. The feature ends when the player guesses wrongly, but players can also choose to end the feature by pressing the “Take Win” button. Oil Mania is a fairly fun to play video slots game, with a unique bonus feature that really fits in well. The game has pretty simple graphics, and fairly clunky animation. However, this does not stop the game from being fun, and fits the game's theme fairly well. The games RTP is 95.66% and is fairly simple to play, even with the unique bonus feature. I suggest this game for beginners and seasoned players, as the high RTP means that beginners will still win a fair bit, and the game will not punish them harshly for not knowing how to play properly yet.